As we enter the final quarter of 2018, it is a good time to reflect on all that has happened this year, and all that remains to be done, in the realm of safety and advocacy for Ontario’s more vulnerable road users. As of September 1, 2018, drivers now face increased penalties for careless driving, and failing to yield to pedestrians, pursuant to the Highway Traffic Act. For more information about these changes, check out the MTO website here, or the Act here. For failing to yield at crosswalks, school crossings, and crossovers, convicted drivers will now face fines up to $1,000 and four demerit points. This is an increase from fines up to $500 and three demerit points. These changes to the Highway Traffic Act only apply to one offence, careless driving. However, the Act describes at least 50 possible illegal driving behaviors which result in death or injury. If these changes are being made to crack down on dangerous driving, our government should be increasing penalties across the board. In cyclist death cases, about 62% of drivers would have been found at fault, yet only less than 23% of the time was a driver actually charged. Although some individuals are charged with careless driving, a large percentage of those charged ultimately plead down to a lesser offence, and walk away with a small fine. Our courts are backlogged, and deals are made daily to prevent delay. This treatment of cases which involve injured victims demonstrates a lack of justice for victims and their families. The new penalties outlined in the Act are discretionary, and fail to send a strong message that any illegal driving that hurts or kills will be dealt with seriously. This requires mandatory minimum sentences that include: a licence suspensions AND driver training courses, community service hours in the area of road safety, and, when a victim’s impact statement is read in court, the driver must be present, and they must listen. Penalties like these not only hold the driver accountable for their actions, but as well, affirm the seriousness of road safety, and the need for change on our streets. Our province needs to consider those most deeply affected by bad and reckless driving – the loved ones of victims, and the victims themselves. 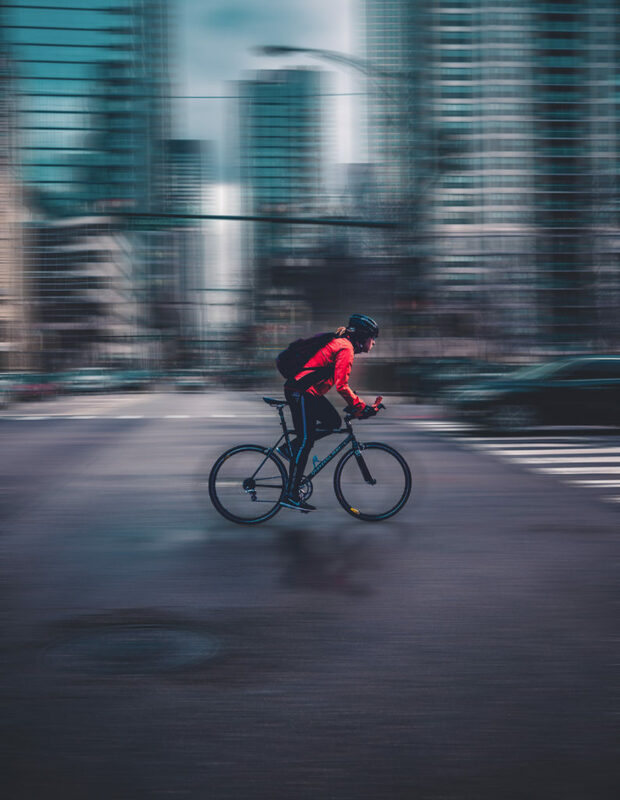 These recent changes to the Highway Traffic Act do not constitute a Vulnerable Road User law which seeks to provide added protection for pedestrians, cyclists and first responders. The first reading of Bill 37, Protecting Vulnerable Road Users Act, was a reintroduction of Bill 158 from last year. These proposed legislative changes would act to improve our current road user laws in the ways described above. These proposed changes have been consistently delayed or thrown out by our government. Until these changes are made to our legislation, and bad drivers are properly convicted and sentenced, victims and their loved ones will continue to be denied justice in the face of loss. This summer, #nearmisstoronto gained traction across the web, attempting to fill a void for reporting close calls and near misses with automobile drivers in Toronto. The hashtag was started by Abigail Pugh, who was dropping her daughter off at school when she witnessed a young boy nearly get hit at a nearby crosswalk. The goal was to offer a voice for vulnerable road users and alert municipal politicians to the dangers facing road users everyday on Toronto’s roads. So far, stories with the hashtag have been plentiful. The message is clear – our streets are still dangerous, and it shouldn’t take a death or serious injuries to gain support for safer roads. Since 2016, when Vision Zero was implemented in Toronto, 93 pedestrians and cyclists have been killed on our roads. As a result, in June of this year, the City approved $13 million for Vision Zero, and an additional $22 million dollars to go towards road safety. This year, Friends and Families for Safe Streets, in a coalition with the Toronto Centre for Active Transportation (TCAT), Cycle Toronto, Walk Toronto, and 8 80 Cities, launched #BuildTheVisionTO. This project sets out 15 municipal priorities for building streets where people of all ages and abilities can get around actively, sustainably and safely. These priorities include road safety, increasing physical activity, and building safe and active streets for all ages and abilities. The coalition has distributed a 15-question transportation survey amongst mayoral election candidates to obtain a greater understanding of traffic safety commitments in their platforms, for a more informed vote this fall. To learn more about #BuildTheVisionTO, click here. There are many ways to get involved in advocating and support our most vulnerable road users. To get involved as an advocate for safer streets, there are many groups out there fighting for vulnerable road user rights. Amongst these are Walk Toronto, a pedestrian advocacy group dedicated to working with community groups, governments and citizens to improve walking conditions and safety in Toronto. As well, Cycle Toronto is a not-for-profit organization working to make Toronto a better place for bikes. For more information, or to contact the support group to join, click here. While this has been a powerful year for road safety and advocacy, we still have a long way to go in making our streets safer for everyone. The numbers speak for themselves – as of June 2018, Toronto’s total for cyclist and pedestrian fatalities this year alone was 20. This number is not zero. If you or someone you know has been injured in a road violence incident, contact the team at McLeish Orlando for more information about your rights as a vulnerable road user, and a free consultation.